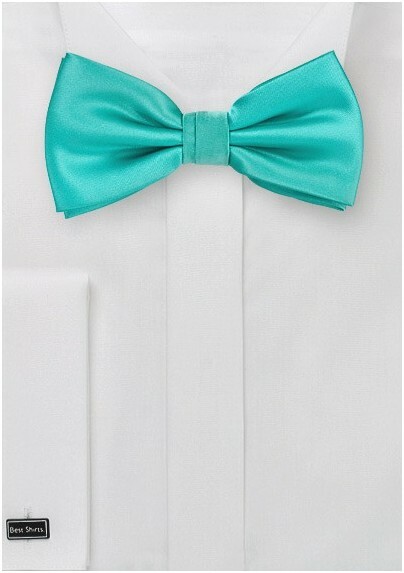 A bright and bold choice for summer, this mint-colored bow tie is cool and delicious. You can almost smell the spearmint in the minty blue with just a touch of green. 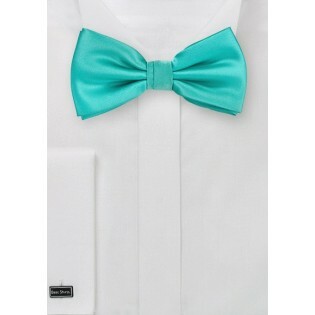 This tie is a great accessory for Summer, as it is incredibly versatile. The color will go with almost any suit color, but looks especially nice with gray and navy blue. This bow is pre-tied with an adjustable strap for convenient wear, and made from a durable microfiber with a satin finish.